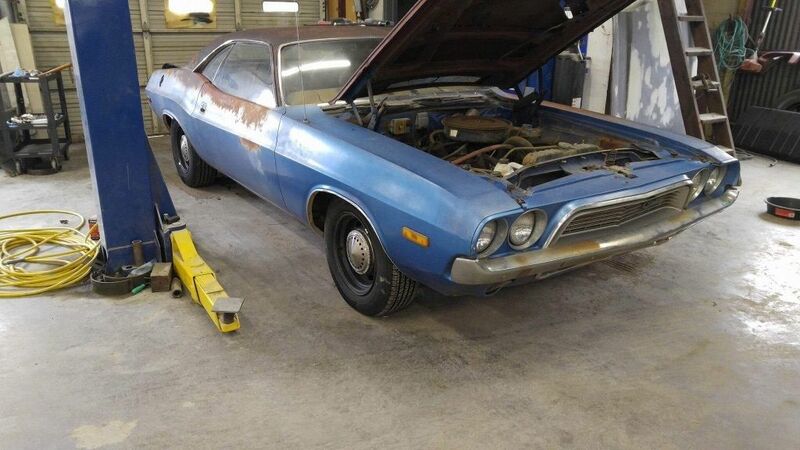 One Owner 65k Mile 1972 Dodge Challenger! This 1972 Dodge Challenger is pleasingly original, which is not completely surprising that it’s a one owner car! 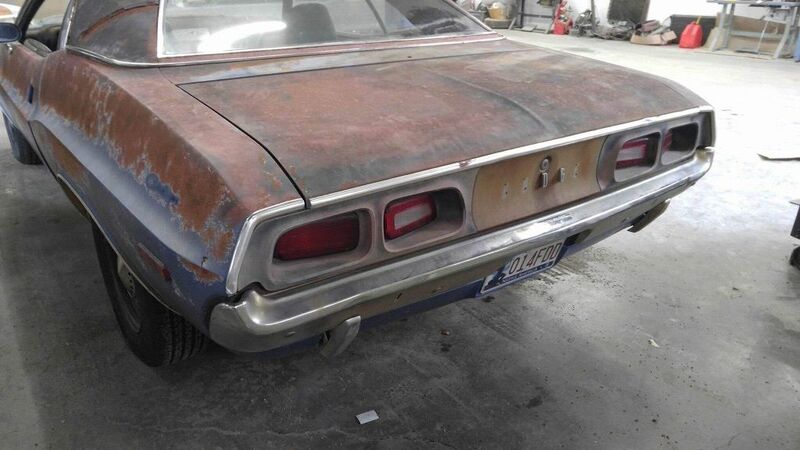 Of course, it’s not pristine, but that just means you Mopar lovers have a potential project, don’t you? It’s listed for sale here on eBay, and we have a little bit of time before the noreserve auction ends. This sweet Challenger is waiting for you in Tulsa, Oklahoma. I said it was sweet, not pristine! There’s some surface rust for sure, and the seller tells us there is a hole on the A pillar and some perforations where the battery mounts. You’ll also need a D, O, and E! I believe this is looking up at the battery location from inside the fender well. 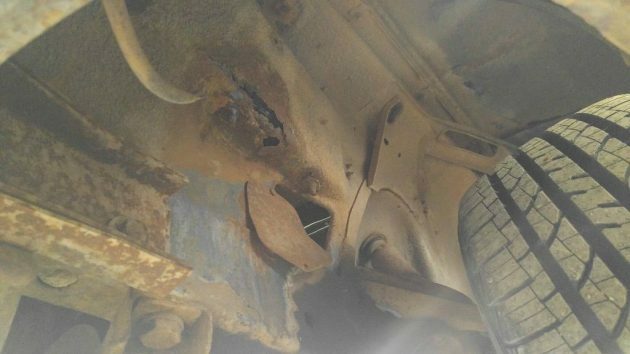 The surface rust on some of the underbody parts needs to be taken care of, but it doesn’t scare me. The original wheels (according to the seller) look nice with my favorite center caps. I honestly like the earlier versions of the Challenger front end, but that’s being really picky! The seller also tells us that the car is an original Oklahoma car and that nothing has been modified. The black vinyl top from the factory is long gone now, but even though I like originality, I don’t think I’d put it back. Would you? For some of you, this may be a bit of a let down. This is (presumably the original) a 318 V8 that runs. Bolted to it is a 727 automatic transmission. The seller tells us that the transmission shifts well, but that the brakes are spongy. Even with the engine only being a 318, I’d want solid brakes before driving it very far. This does bring up the question of what you would do with this car. 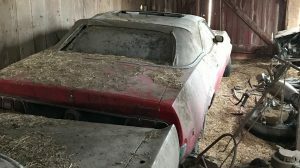 I’m sure many of you are thinking of it as a blank canvas for a restomod project. Others are thinking restore it. Still more of you would make it safe and drive it as close to “as is” as possible. Which route would you take? I got severely frightened by that comment, but had to remind myself what day it was. But seriously, you could do what you want to this, & not hurt the value. I’d still redo the paint original color, but that’s just me. 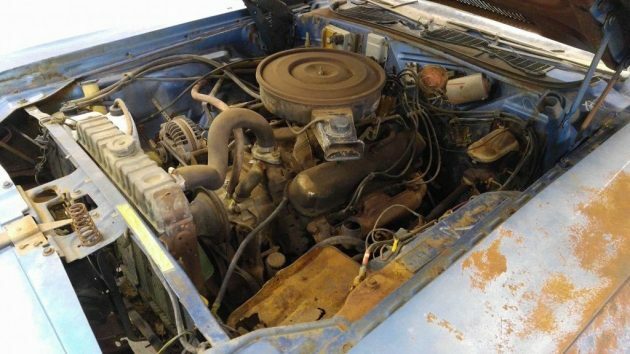 In all fairness, the seller doesn’t claim it’s original 65K, that’s just what it says. 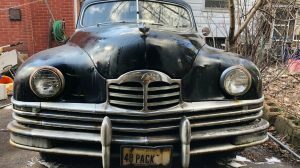 Proof positive, for me anyway, all the good ones have been found, and we’re at the bottom of the barrel if you want a car like this to fix. No interior pics, so that’s probably similar to the rest of the car. It seems, there’s a glut of these “border line” cars lately. 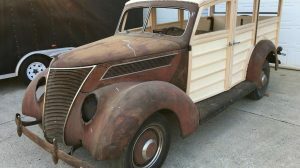 Too nice for parts, too rough to restore. Most of these non-firebreathing Challengers seem to bring mid-$30’s. Maybe it’s my age, but I’d find a nice one, plunk down the 30g’s, and hit the car show scene that very weekend. It’d be a nice one to drive as a survivor car but it being a 318 a restomod certainly would work! I like it as this body style was one of my favourites. Not the most desirable version but still sought after. Personally I would strip it down media blast and repaint after any repairs have been done. I would consider doing an engine swap or some work to the 318 to give it the extra punch. Probably put the vinyl too back on I think it suits the car. Just fix it up not restore. Redo interior. Backyard or maaco paint job. Undercoat it and go have fun driving it. Restored would not want to drive, to ugly to drive as is. A driver quality restoration for me. Opening the hood to find a 318 is somewhat of a let-down but it could be a six. You could always pretend it’s a 340. My favorite for a Challenger will always be a 383. Well, since this is a ’72 I’d have to settle for a 400. Stick with the 318; I’m not about to do a smoke show with it. Mikey likes it! It would make a nice cruiser, not a bruiser with that 318. You could always do a motor upgrade down the road. I’d make it safe to drive and enjoy it the way it is! I’d re-do the interior first, then re-paint it when I could afford to do so. I’m not about to do a smoke show with it. You forgot to add April Fools! I would put it back to original condition and mildly hop up the drive train . Keep the 318 add a Holley carb, nice aluminum performer intake, aluminum performer heads, big cam, electronic ignition, electric fan, be cool rad, 3000 highstall torque converter, shift kit, posi, and some 391 gears. A 318 is an awesome engine, good mileage, great reliability good handling, low insurance premiums. If you must, pop a small carb on it, not a huge CFM monster, maybe a dual exhaust, headers, but that’s about it. It will be an awesome cruiser and look sharp. Not every car has to be an obnoxiously loud street racer or drag strip queen. A question was asked to the boys on Graveyard Carz about what engine they would prefer for general driving and reliability, the 318 won hands down. I had this exact car purchased it in sept 1971 for $2700 put 125,000 miles on it and sold it in 1974 for $2400 exact blue with landau black top.